It has long been the case in the restaurant industry that consumers say they want healthier options. But when given the choice, they typically pick indulgence over better-for-you items. Over the past couple of years, however, this truism is eroding. It’s a sea change that started in grocery stores: Sales of cereal, soda and frozen foods have been dropping while quinoa, kale, avocados and coconut water continue to grow, report multiple sources. Following this shift in retail spending, dining decisions also are moving toward healthier options. Along with buying behavior, consumer mindset also is shifting. 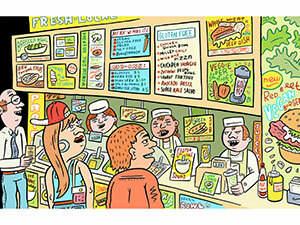 It’s no longer acceptable for healthy options to be treated as culinary afterthoughts. Three-fifths of consumers now believe restaurants can offer food that is both healthful and tasty, reports Chicago research company Technomic. “They want healthy, but they want healthy that tastes amazing,” says Brian Sullivan, senior vice president of culinary development at Playa Vista, Calif.-based California Pizza Kitchen. In a world where operators can no longer afford to skip any traffic opportunities, having healthful options is ever more important—especially for attracting younger diners. Technomic found that 38 percent of consumers are more likely to visit a restaurant that offers healthy options, even if they don’t end up ordering them. This jumps to 50 percent among consumers ages 25 to 34, a 10 percent increase from 2012. But what to offer? These days, everyone has a different idea of what healthy means. Some consumers want protein, while others gravitate toward nutrient-dense vegetables or gluten-free options. Still others just want less food overall. Complicating things is that perception often trumps reality; consumers appear to care less whether something is truly healthful, as long as it feels wholesome. In many ways, healthfulness still comes down to eating your vegetables. Consumers polled by Technomic overwhelmingly think that foods described as including a full serving of fruit or vegetables are good for them. But today, protein—from both vegetable and animal sources—is more important than ever. Port Washington, N.Y.-based researcher NPD Group finds that more than half of adult Americans want more protein in their diet. Beyond that, there are countless opinions on the definition of healthy, depending on demographics and personal preferences. For instance, Technomic reports that women are more likely than men to think some fats are good for you. Yet younger men are more likely than older men and women of all ages to believe that organic produce is more nutritious than conventional produce. And while interest in gluten-free remains strong, there are signs that the growth in the number of voluntarily gluten-free Americans may have peaked. In 2013, a third of respondents to a NPD Group survey said they sought out gluten-free foods. In May of 2014, that number had dropped to 29.4 percent. Bottom line: There is no one answer. To target today’s “healthy” consumer, restaurants are taking aim from many different angles—crafting menus and messages that will resonate with evolving definitions of the concept. Here are some of their strategies. As someone who changed the way he ate, losing more than 70 pounds in the process, Chris Siversen understands firsthand why his diners might be rethinking their eating habits. After putting on weight while logging long hours opening and running Maritime Parc, his fine-dining restaurant, bar and events space in Jersey City, N.J., the executive chef and owner stripped out sugar from his diet, avoided gluten and cut back on alcohol and dairy. Siversen’s new eating habits have impacted his menu planning. “It’s about trying to bridge that gap between what I was eating at home and what I was cooking,” he says. Now, his menus are more adaptable for customers’ special requests, the top three of which have been gluten-free, vegan and dairy-free, he says. There always is a gluten-free pasta alternative at Maritime. And although he doesn’t usually run a vegan entree, he will mix and match components from other dishes to put together a meal on request. The demand is similar at Stir Market, a European-style food hall in Los Angeles. The popularity of its spit-roasted porchetta ($14.95 at lunch/$18.95 as a dinner entree) means the operation goes through more than 30 pork bellies every five days. 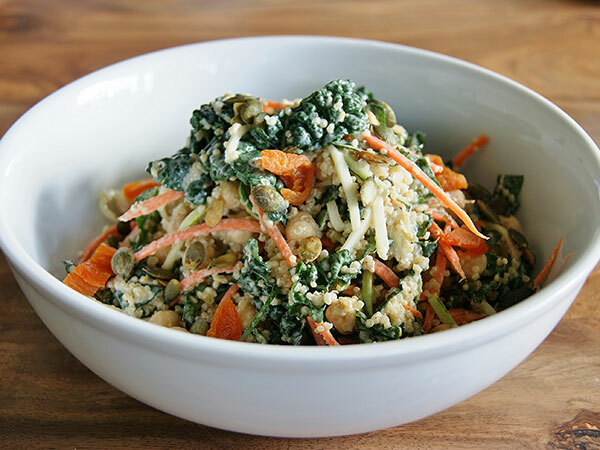 “People are ordering more protein-centric items,” says Executive Chef Chris Barnett. But they are not forgoing vegetables. “I have never gone through so many roasted vegetables in my entire career,” he says. Barnett roasts rainbow carrots, purple and yellow cauliflower, multicolor squashes; he speculates that his customers associate multicolor vegetables with having higher antioxidant levels. A couple of years ago, Sullivan found that California Pizza Kitchen customers associated healthier fare with lower-calorie items. To deliver, he focused as much on portion control as on lighter ingredients when California Pizza Kitchen introduced its Lite Adventures menu with dishes that clocked in under 650 calories. The popularity of the menu’s cedar-plank salmon served with corn, spinach, and feta succotash, as well s the quinoa and arugula salad with roasted asparagus and sun-dried tomatoes, has led to double-digit growth in sales for Lite Adventures items. 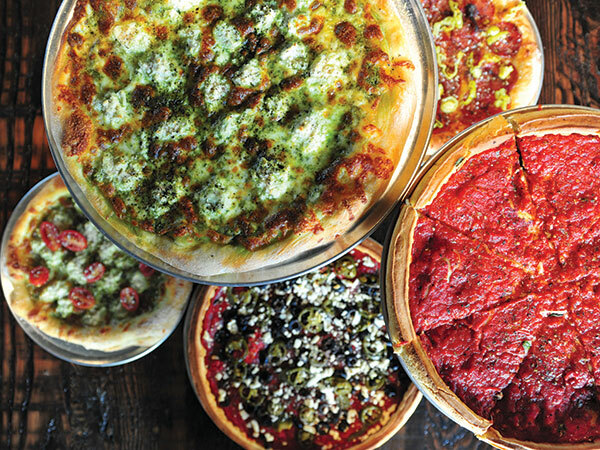 Tapping into regional preferences helped San Francisco-based Patxi’s Pizza deliver vegetarian and vegan options outside of the ordinary. The Californian, for example, a deep-dish pizza comprised of whole-wheat crust, tomato sauce, low-fat mozzarella, red onion and fresh spinach, came from customer requests. “That was something that was driven by our guests when we opened in San Francisco,” says Patxi Azpiroz, chef and partner. He also involved vegan customers when sourcing vegan cheeses to ensure the pizzas met customer expectations. Today, vegetarian and vegan pizza orders still are highest at San Francisco Patxi’s locations, compared with its restaurants in Denver, Seattle and elsewhere in California. According to the restaurant operators we spoke to, these are the in-demand foods that spell health today in consumers’ minds. 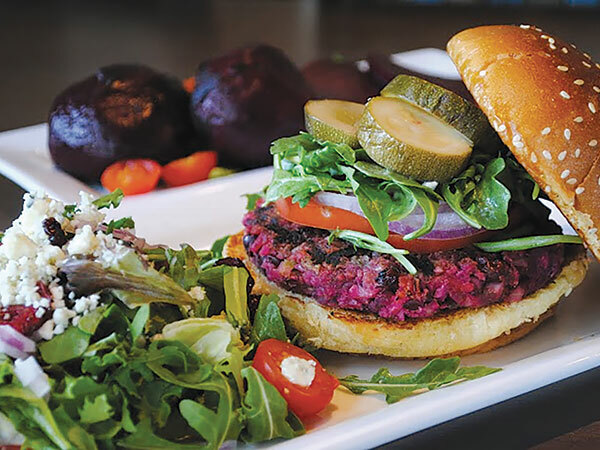 Eureka makes the patties for its veggie burger from beets and kidney beans. An array of pizzas from Patxi's Pizza. 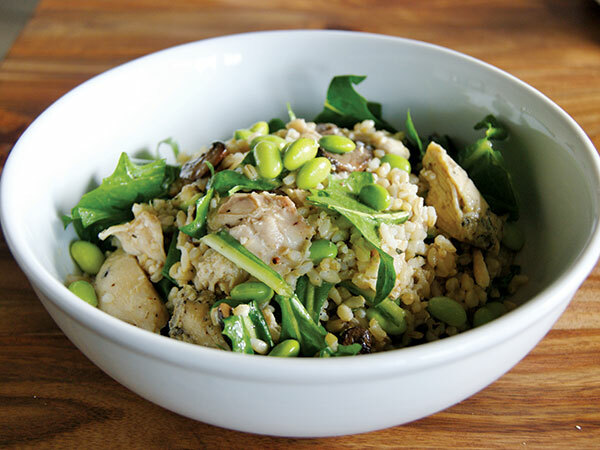 The brown rice bowl from Stir Market. Tangiers quinoa bowl from Stir Market.